Well, not quite but reading between the lines I’d say the article headline isn’t far from being correct. Last night, at Stamford Bridge, despite making a raft of changes for the visit of Dynamo Kiev, in the Europa League, 18-year-old Callum Hudson-Odoi was only afforded a place on the bench with Maurizio Sarri preferring to utilise his golden oldies, Willian and Pedro. Perhaps the fact both scored may vindicate the Italian’s decision to go down that route. However, here at Vital Chelsea, our feeling is that the game would have been the ideal opportunity to start our talented youngster, even more so with Sarri bemoaning the fact the recent plethora of fixtures had left his players tired. As it turned out, despite the Matthew Harding Stand urging Sarri to bring on Hudson-Odoi earlier than he did, the teenager was introduced late on. Once again, Hudson-Odoi showed exactly what he was capable of by getting on the score-sheet with a splendid finish. But, returning to the, some might say, questionable headline, the England manager, when interviewed by Talksport, reiterated that he believes, with Jadon Sancho being the perfect illustration, there are no negative aspects to players plying their trade abroad. 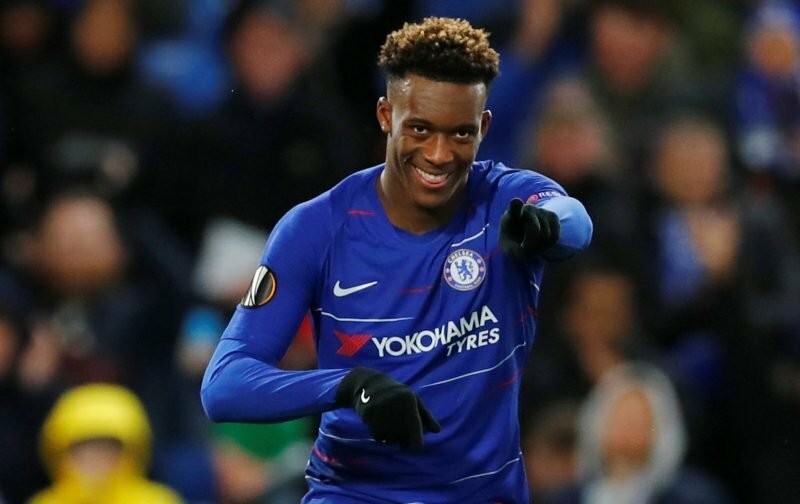 Now, we Chelsea supporters, can plead with Hudson-Odoi to remain at Chelsea all we like but the stark reality is that if the youngster is serious about leaving the club, due to a lack of first-team opportunities and game-time, then the cameo roles he’s currently restricted to are not going to change his mind, even more so with those words from Gareth Southgate ringing in his ears. This is should act like alarm bells ringing for our club Chelsea. Unfortunately, Neapolitans are renowned for being stubborn and use Odoi’s age as an excuse. The undisputed fact is Pedro is a brilliant player but he can only give his 100% for the first 45 minutes. Odoi is a firing young and excellent player and Sarri should consider the benefits and financial interests of Chelsea and not bring silly excuses that he is too young! What a lot of codswallop. The club’s administration must interfere otherwise he will move to Germany. What kind of business nous the club practices? the pay 50 million for Pulissic and they have this phenomenon in their arms and will let him go because of the stupidity of the Coach! There is a hell of a difference between coming on late against a tired side and starting against a fresh one. We won easily so manager called it right. Could actually make a better case that RLC should have started as his power and strength is exactly what our midfield needs. We are in trouble we have bans, deadwood players, stupid manager, old stadium, young brilliant players that have left or want to leave, and so much more, It’s a massive mess.